The latest addition to the community-friendly Lokotrack Urban series, the Urban LT96 is ideal for small to mid-sized contractors crushing and recycling demolished concrete on site. Metso has expanded its community-friendly Lokotrack Urban series mobile crushing and screening plant range. With its advanced protection features, the Metso Urban solution significantly restricts noise and dust emissions compared to conventional crushing, enabling more sustainable construction operations in cities. An exclusive preview of the new Urban LT96 will be on display at Metso's booth at bauma, April 8-14, 2019. "Transporting aggregates to a construction site in a city center from a distant quarry is costly, both in terms of energy and time. At the same time, rapid urbanization pushes crushing operations closer to city centers. Our customers are turning to us for solutions to avoid unnecessary hauling and to minimize the impact on people and the environment. The Metso Urban solution was developed to enable crushing operations in the most regulated urban areas, while actively protecting both employees on site as well as people living nearby," said Kimmo Anttila, vice president, Lokotrack Solutions at Metso. 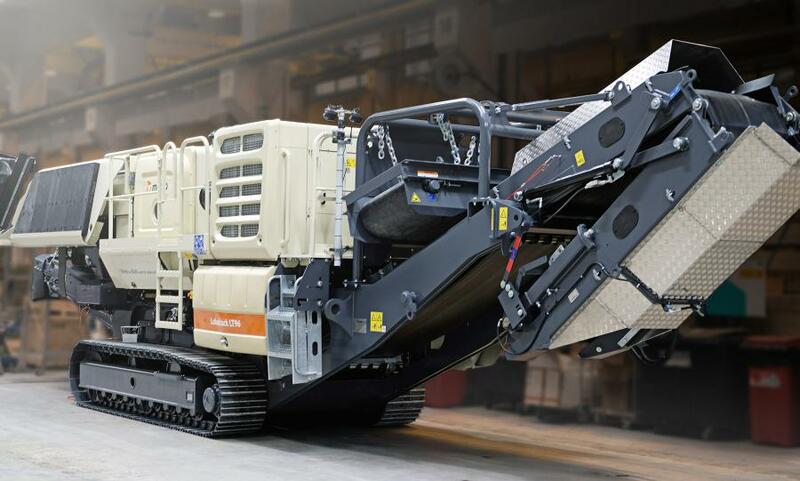 The Metso Urban solution combines Metso's proven crushing technology with modern environmental and safety features to produce a unique machine. The latest addition to the series, the Urban LT96 is ideal for small to mid-sized contractors crushing and recycling demolished concrete on site. Launched in 2017, the Urban solution is also available for the electrically driven LT130E model, LT120 and the LT106/S, one of Metso's most widely used mobile crushing plant models in the market. The Lokotrack Urban Series crushing and screening plants introduce innovative and patented solutions that enable the combination of effective noise protection with easy maintenance access. The noise protection distances can typically be reduced by 50-60 percent compared to traditional crushing plants operating in hard rock applications. "We believe that sustainability and operational flexibility should and can be built into the same solution. Feedback we have received from the field supports the fact that using Metso Urban solution has a positive impact on the permit process. Our target is that the Urban will help our customers tap new business opportunities sustainably," Anttila said. Read more about how the Lokotrack Urban LT106 performs on this customer's site. Metso is showcasing a number of innovations for sustainable productivity in the aggregates and mining industries in Bauma 2019. Experience them first-hand and join Metso's team of specialists for one-on-one discussions at booth FS.1111/2. For more information, visit metso.com or twitter.com/metsogroup.